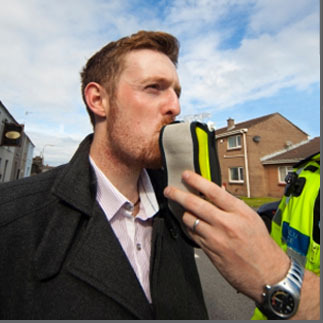 It is an unfortunate fact that at some point in their lives, most drivers and motorcyclists will commit a motoring offence - and if the Police become involved then prosecution is likely. At this point, legal representation by a knowledgeable and dedicated solicitor will assist in bringing about a conclusion that is acceptable to all sides. 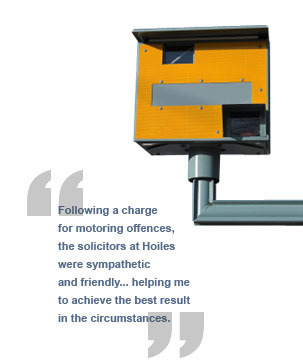 At Charles Hoile, we have extensive experience of acting in all types of motoring case, including drink driving, speeding, reckless driving and careless driving. However unintended, a motoring offence and subsequent prosecution can cause hardship and distress to all involved. On instructing Charles Hoile to act on your behalf, our aim will be to minimise any such unpleasantness and associated costs.